According to the GMAC Insurance National Drivers Test, Florida has some of the worst drivers in the United States. Florida ranked 37th out of the 50 states for knowledgeable drivers. 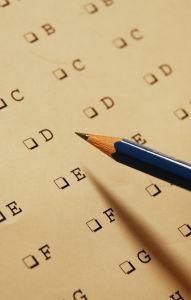 The Sunshine State had an average test score of 76.5 percent. This means that nearly 20 percent of our drivers wouldn’t pass the written drivers test if they were to take it today. After reviewing these test scores, it’s no wonder there are so many fatal car accidents in Naples, Fort Myers, Bonita Springs and elsewhere throughout the state of Florida. 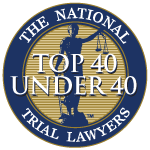 Our Fort Myers personal injury lawyers recognize that these results are a bit disheartening. According to the report, there are almost 37 million American drivers who would not be able to pass a drivers test. We hope these test scores will serve as a wake-up call for drivers to re-up their driving skills to help preserve what safety we have left on our roadways. The GMAC test results concluded that one in five drivers on the road do not meet the basic requirements to get their driver’s license, but they still have one. Our country did see an increase of 1.7 percent from the 2010 test score average. Still, our average test score was only a 77.9 percent. According to the GMAC report, nearly 90 percent of tested drivers were unable to identify the correct action to take when pulling up to a steady yellow light. Only 25 percent of those tested were able to correctly determine a safe following distance. Many drivers don’t even know they’re lacking proper driving knowledge and skills. This is why GMAC Insurance conducts an annual National Drivers Test in hopes of raising some awareness about our drivers’ lack of skills. The organization hopes these results urge drivers to improve their credentials before they’re involved in a serious — or fatal — motor-vehicle accident. -Men returned better test scores that women did. One in four women failed the test. Overall, men averaged an 80.2 percent and women averaged a 74.1 percent. -The Midwest region of the country may have the safest roadways to travel as they were ranked first with an average test score of 77.5 percent. -You may not want to drive throughout the Northeast region of the United States. They ranked last in the country with an average score of 74.9 percent. -Older drivers, ages 60 to 65, are reportedly the most knowledgeable drivers. They returned the highest average score at 80.3 percent. -One of every three drivers in New York and Washington D.C. failed the test, but Wyoming had the most failing scores. -After three years in a row, New York is no longer the state with the worst drivers. This year they jumped from dead last to 45th place with an average test score of 75.3 percent. You can take the National Drivers Test yourself to see where your driving knowledge stands.